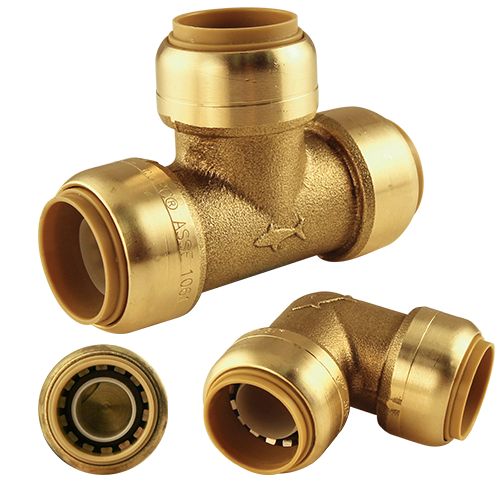 SharkBite Universal is a quick connection system made of brass for plumbing and heating installations that does not require the use of tools. This brass quick connection system for professionals is recommended for remodelling / repairs, providing security and quick assembly. This universal system is compatible with PEX, PERT and MULTILAYER pipes. Look inside the SharkBite® Universal ™ and see the quick assembly of this innovative fitting. 3. 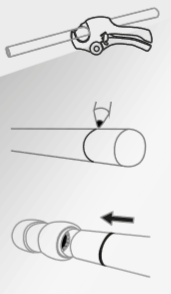 Insert the pipe until the mark.